Think of a school with solar panels on the roof, generating power through the summer holidays. Or a farm with a small hydro or wind turbine, spinning all night with nowhere for the power to go. Across Europe electricity companies are obliged to pay for that extra power. It's only fair, and it fundamentally changes the economics of an investment in microgeneration for an individual, a community, or a small business. Suddenly pay-back periods are much shorter, a source of income is created, and the extra power is accounted for. It's a game changer. But electricity companies do not like it. They want you to buy your power entirely from them, forever. The Microgeneration Bill will change that. If passed, it will be the law that anyone who generates power through microgeneration will be entitled to be paid for any electricity they do not use. In practice it will mean solar power, hydro power and small wind turbines will be viable on Irish farms and in Irish Communities all across the country. P.S More power to you, if your email your TDs today. TDs and their parties will be deciding how to vote in meetings on Monday. They need to hear your voice. P.P.S If you want to watch the debate from the gallery, let us know by replying to this email or calling us on 01-639 4652. 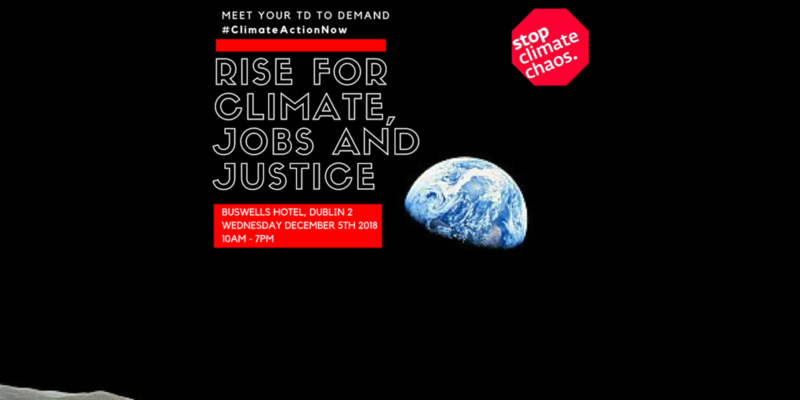 And don't forget if you want to join us in Buswells on Wednesday week, 5th December, to meet your TD and talk turkey about climate change, register here for Rise for Climate, Jobs and Justice.